Santa made a visit to Tom's Park on Friday night in his traditional Hyundai i35 to help celebrate the festive season. 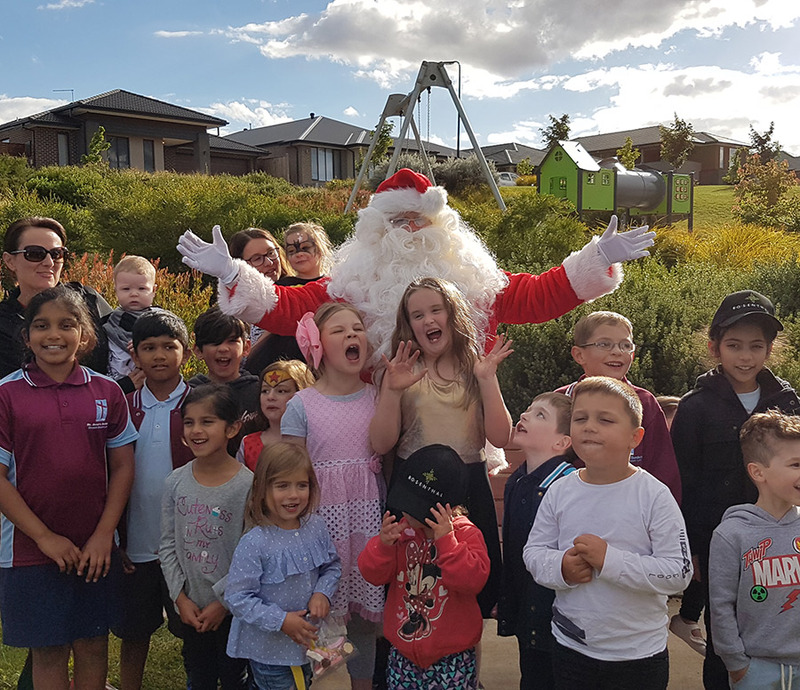 The night was a celebration of the holiday season as well as a great opportunity for residents to get to know their fellow neighbour's and of course for the kids to see Santa. A special thanks to Paul and his team from the Sunbury Rotary club who provided the sausage sizzle. Joe, the Estate Manager, even helped out with the cooking! Click below to check out some pics.